Selling a home often means getting a home inspection; in fact, only 5 percent of home purchases go through without a thorough check. This is typically paid for by the buyer, but if you're the one selling, you're going to want to ensure that the home inspection goes well. If your home doesn't meet the mark, the door is open for the buyer to negotiate for a lower price, making it especially important to know what the home inspector will be looking for and what will ultimately impact your home's market value. Most houses have a fan over the stove to vent fumes to the outside. This vent pulls harmful volatile organic compounds (VOCs) out of the air when the food you're cooking begins to burn or when you're using the self-clean function on the oven. 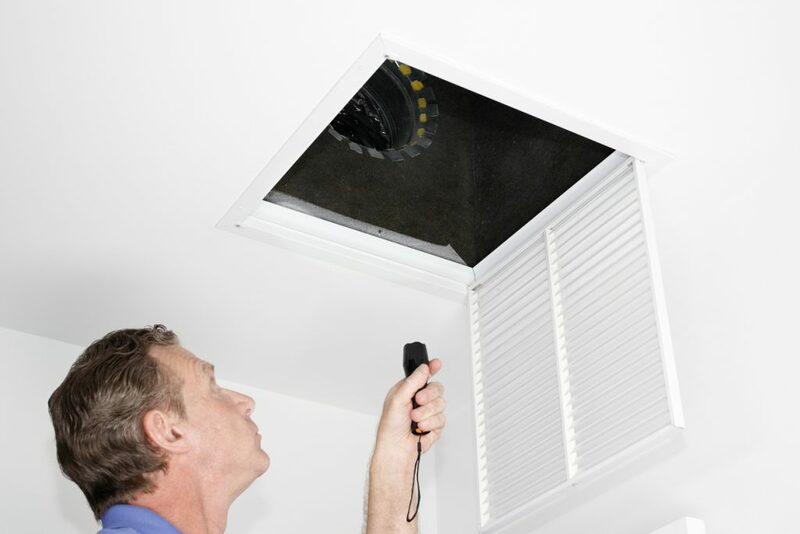 The inspector will check for proper vent seals and fan operation, in addition to making sure there are no vents going into the attic where mold can grow. Some new technologies have ventless hoods. These products do not need a vent to the outside; however, it's important that you know which you have, because if your model requires a vent and you don't have one, that will be a mark against you in the inspection. Building codes in many communities dictate that homes for sale must have GFCIs in kitchens and bathrooms. These outlets go in areas within six feet of water sources. These receptacles have a safety feature built in that turns off the electricity when the panel gets exposed to moisture. These outlets prevent fires and electrical shock, keeping you and the family safe. If you're not sure which you have, then it's important to consult with a professional electrician. Have them examine your kitchen outlets and ensure that they and their safety features are functional. Showing prospective buyers that your home is in excellent shape includes checking the garage. Inspectors look at garage doors to make sure there's no crush risk, in addition to making sure the door operates safely. They look to see if the door has all mechanical parts, reverses when it comes down and hits something, and opens smoothly. Updating your garage door with a more modern model can provide a greater marketing edge. Make sure that all of your remotes and your garage door are working properly, because home inspectors will bring it up in the report if anything is out of order. Another item inspectors check for is how many outlets are on each wall. Building codes differ from city to city, but each town requires a minimum amount of electrical outlets in the house. For example, many houses must have at least one receptacle on each wall or within a certain length. If you live in an older home, chances are that you have fewer or even outdated outlets. If you own an older home, your best option is to have an electrician come and replace the outlets, or add more to the system. You may also need to have the electrical system reworked if it's outdated, as it may not be able to handle the electrical needs of a modern home. The home inspection can help show the value of your house, especially if you make improvements. Whether you're looking to sell or even refinance, it's important to know what home inspectors look at to determine your home's value. Having a successful inspection can also give you greater bargaining power with buyers so that you can get the full value that your home deserves. Meghan Belnap is a freelance writer who enjoys spending time with her family. She finds happiness in researching new topics that help to expand her horizons. If you're interested in learning more about online garage door sellers, Belnap recommends B & D Garage Doors.